Tansy flowers are now considered invasive in North America, but at one time, the plant was an important medicinal and culinary herb in Europe. Given its pedigree in the European tradition, it is not surprising that tansy flowers were soon brought to the New World by the American colonists and granted a position of prominence there in the garden. Tansy plant's common name derives from the Greek athanatos, meaning immortality, either because it is long-lived or because tansy was used for embalming going back to ancient times. In Greek mythology, Zeus was said to have made Ganymede immortal by giving the latter tansy on Mount Olympus. Now, however, Tansy has been listed by watchdog groups as one of the worst invasive plants in North America. It is quite a comedown from those Mount Olympus days, isn't it? Common tansy is an invasive plant, so growing it is not recommended. However, if there's a reason to grow the plant, you're in luck—tansy is a low-maintenance plant that requires very little care on the part of the gardener. 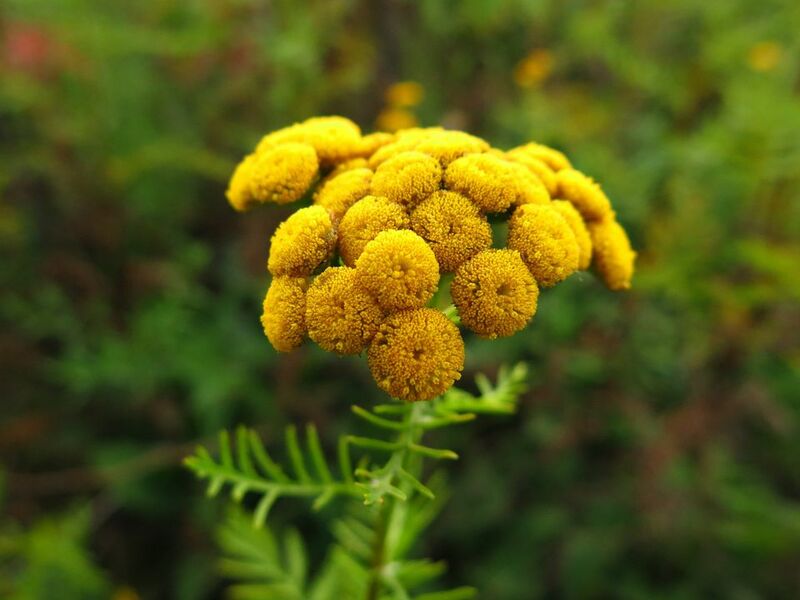 Additionally, tansy flowers are a natural insect repellent and add potassium to soil. If you're considering growing tansy flowers, keep in mind that it's prohibited in Colorado, Minnesota, Montana, Wyoming, parts of Washington state, and the Alberta and British Columbia provinces in Canada. Tansy flowers grow in full sun, though they can tolerate partial shade. The perennial plant grows in well-drained, fertile garden soil. Tansy can tolerate drought conditions. Tansy can tolerate drought and does not need regular watering. Tansy flowers are winter hardy to -40 degrees Fahrenheit. Tansy plants contain oil that causes contact dermatitis in certain people who are sensitive to it. Although the tansy plant has had culinary uses in the past, the oil also breaks down in the liver and digestive tract and produced toxic metabolites. Tansy flowers grow like a weed along roadsides in many areas of North America, so if you are curious enough to desire a look at the plant, some of you may easily be able to do so. If this invasive grows in your own landscape, at least deadhead the flowers to keep them from going to seed. By late summer, you might wish to cut tansy to the ground, as the appearance of its fern-like foliage may start to suffer from the heat. If you cut it back early enough, a new batch of foliage will emerge in autumn (in warm climates, re-blooming may actually result). Do not confuse it with "tansy ragwort" (Senecio jacobea), which is a different plant altogether. Tansy ragwort is a winter annual, biennial or short-lived perennial that is also considered a noxious weed.